Okay, so it’s no secret that I love chocolate. I mean, I absolutely LOVE that stuff! If I had it my way, I would eat chocolate for every meal! It’s just something about that taste that sends me into another world…a world full of chocolate clouds, chocolate, rainbows, chocolate unicorns… Okay let me stop daydreaming and get back to reality! Lol. 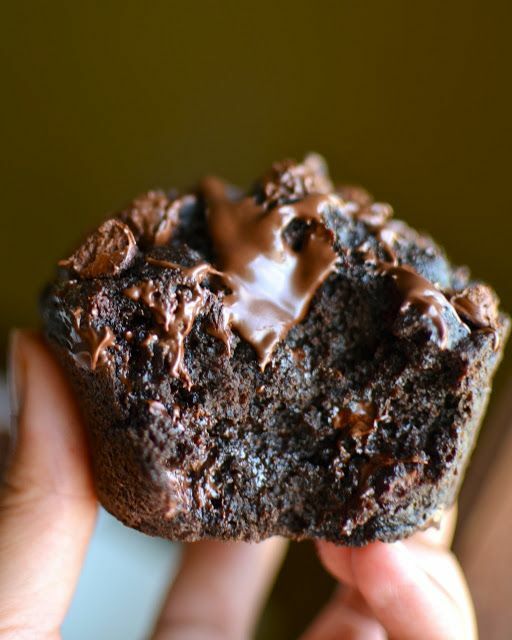 These double chocolate banana muffins did just that! These delicious muffins are made with no added refined sugar, and the very best part is that my 2 year old and 11 month old loved them!! Pre-heat oven to 350 degrees. Grease 12 muffin tins with non-stick cooking spray or line with cupcake liners. In a medium bowl, combine dry ingredients: flour, cocoa, baking soda, baking powder, and salt. Set aside. In a large bowl, mash bananas with a fork and combine the remaining ingredients: egg, liquid coconut oil, vanilla, agave nectar, and applesauce. Be sure to stir until all wet ingredients are blended well. Add dry ingredients to wet ingredients and combine. Be careful not to over stir mixture. 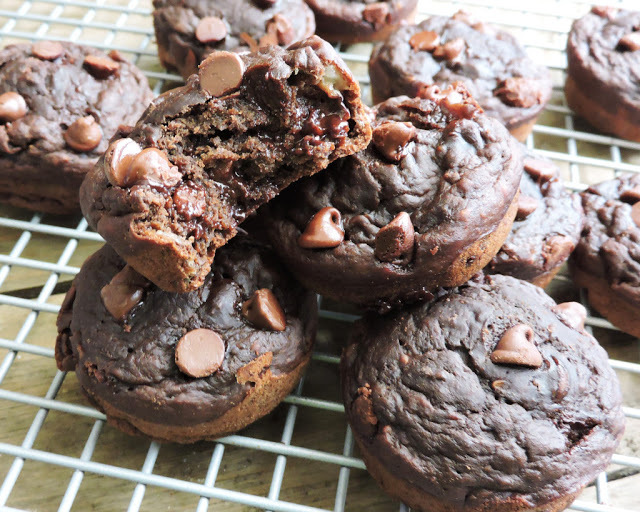 Fold in chocolate chips and spoon into muffin tins, about 2/3 full. You can sprinkle a few more chocolate chips on top of each one for even more chocolate goodness, but note that this will slightly increase the calories! Bake for about 12-15 minutes, or until fork comes out clean. Transfer to cooling rack and let muffins set for about 5 minutes before eating. Enjoy!